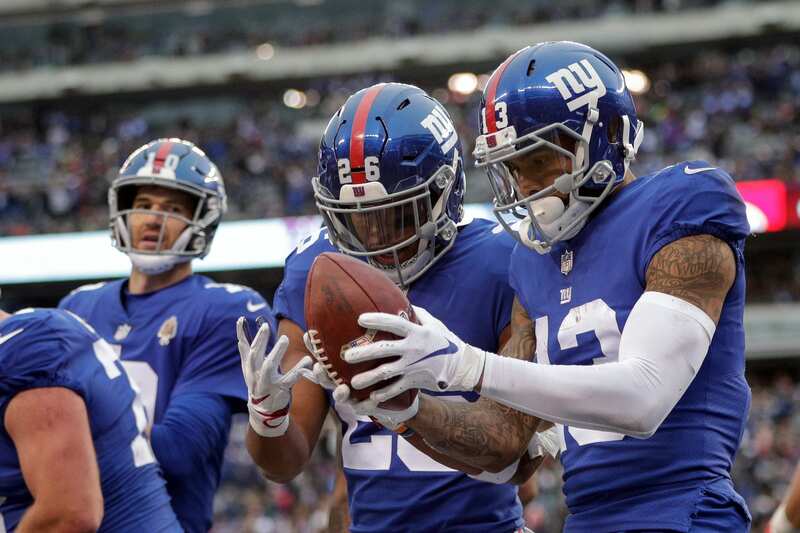 Almost one week out from the trade that sent Odell Beckham Jr. to the Cleveland Browns along with Olivier Vernon, in return for two draft picks and safety Jabrill Peppers, more information is still coming out. In this case, it’s yet another reaction, not from one of the many analysts in the media but from one of the star players of the New York Giants’ roster. That player is Saquon Barkley, who was known to have good chemistry with Beckham during the one season that the two played together. It’s reasonable to wonder what Barkley’s reaction to the trade would be. After all, playing with Beckham is one of the things that Barkley was on the record as looking forward to, after being drafted by the Giants. Now, the dynamic pair has been broken up and it seemingly came by a complete surprise. But how did Barkley get the news? Unsurprisingly, it happened over the phone. “We talked over Facetime, he had just gotten traded, so I don’t think he was really happy about it. He just gave me some advice about how to handle stuff in the league. He was the same old big brother to me that he’s always been.” Barkley told NJ Advanced Media, while speaking at Penn State’s pro day. According to rumors, Beckham was in Paris at the time that the trade went down. Now that Beckham is off the team and Eli Manning is getting towards the end of his career, it looks like Barkley really is the centerpiece player for the Giants. A shift back to a running identity might not be the worst thing in the world, but it does mean that there’s more pressure on Barkley, who is only a sophomore in the league, to perform and act as the face of the franchise. The Giants had something of a vocal leader with Beckham, but Barkley has always been more of a strong but silent type, even during his days playing with the Penn State Nittany Lions. Will Barkley live up to the increased expectations? We’ll see, but Barkley did respond to pressure exceptionally during a historically good rookie season.